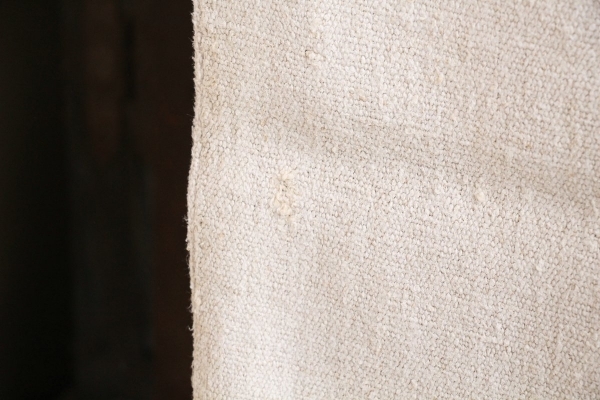 This offer is for this lovely and wonderful ANTIQUE handwoven and hand-loomed hemp linen grain sack. 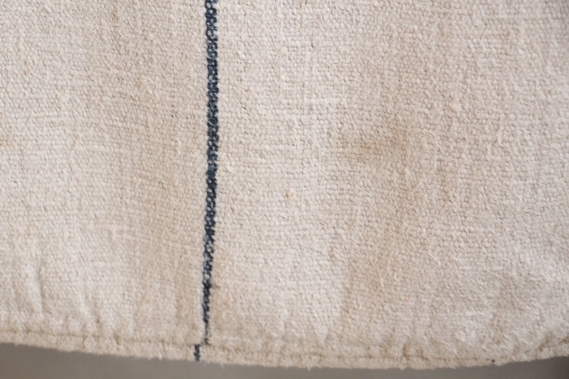 These antique grain sacks and linen rolls were made around in 1900-1910. This charming grain sack measures 43.31 inches by 21.65 inches. It measures 110 cm by 55 cm. 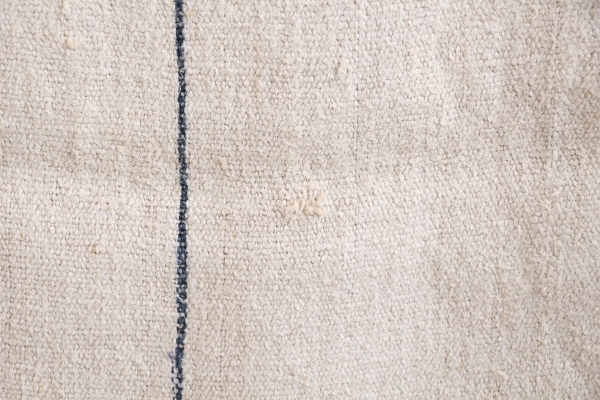 All grain sacks are twice as long, they are handstitched together at the left and right side, if you solve these seams you will get one long piece of antique fabric. 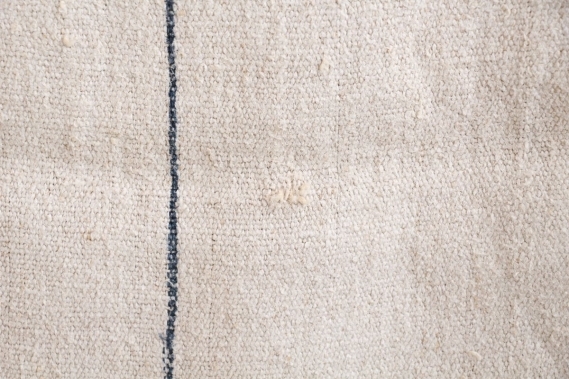 This fabulous, absolutely wonderful hand-loomed grain sack has a fine close weave with an amazing MEDIUM weight, more CLASSY and ELEGANT looking texture. 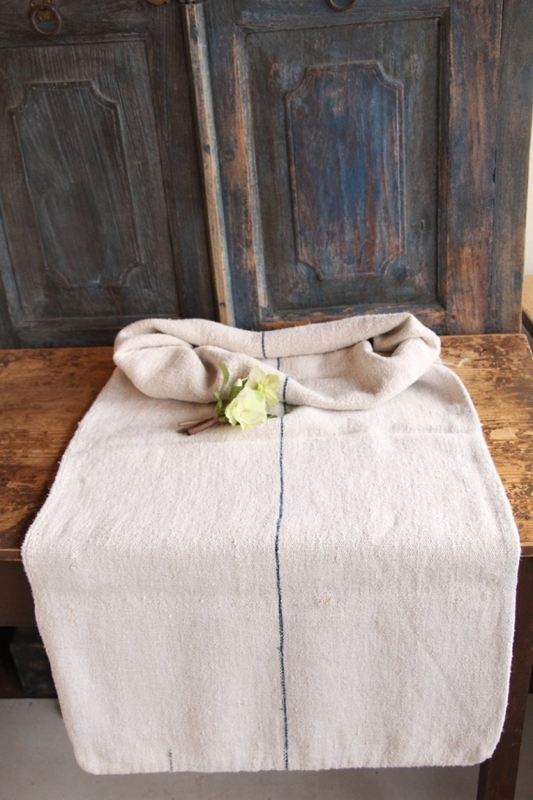 This one is soooo fabulous, very extraordinary, slubby and soft, it would be a wonderful TABLERUNNER! 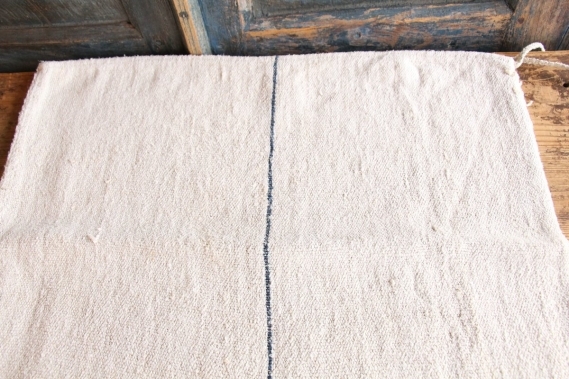 it has the most amazing LAVENDER BLUE colored stripe, which are so decorative and stunning. 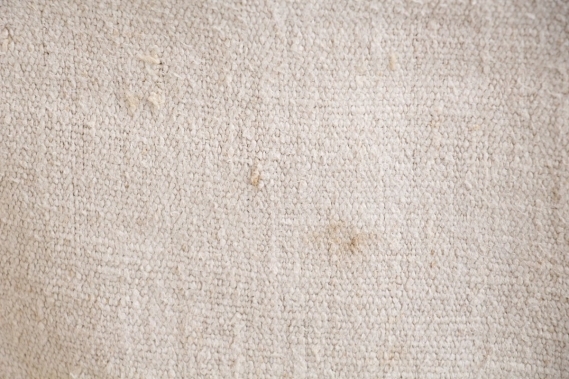 The linen itself has a CREAMY color. 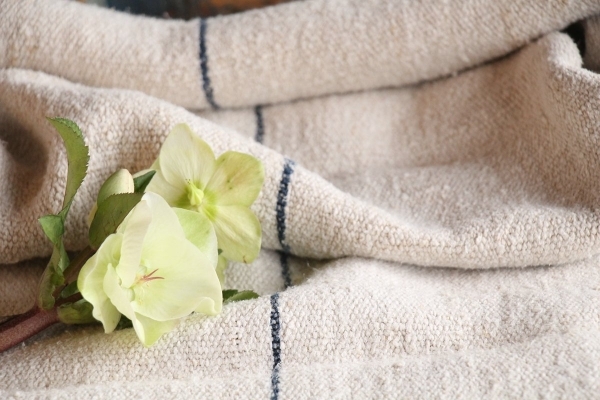 It is specially laundered and ironed for you and ready to use for your creative project- so perfect clean with an amazing smell. 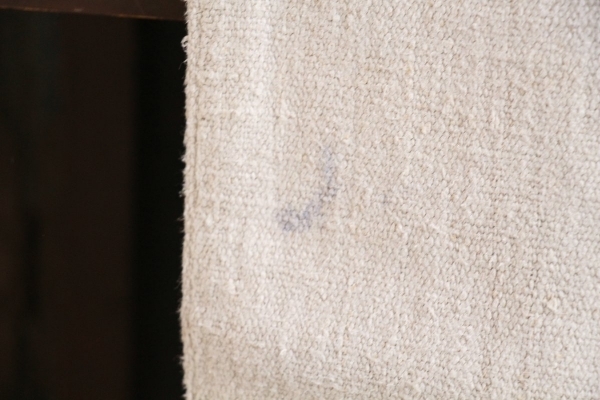 PLEASE NOTE: THERE ARE SOME STAINS, which could be chemically treaten, and some tiny holes, you can see it at the last pictures! Every roll or grain sack is different and unique in texture and color but all are wonderful pieces of textile folk art, all linen and grain sacks are 100 % biological and organic, completely free from chemical substances. 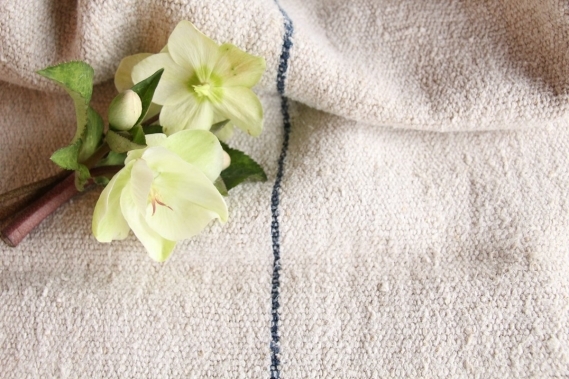 If you don ́t have a tailor for making pillows or other unique objects, We would be very happy to help you, because we have a wonderful charming tailor at our company. It is a handwoven old linen for about 100 years in a wonderful condition, !! 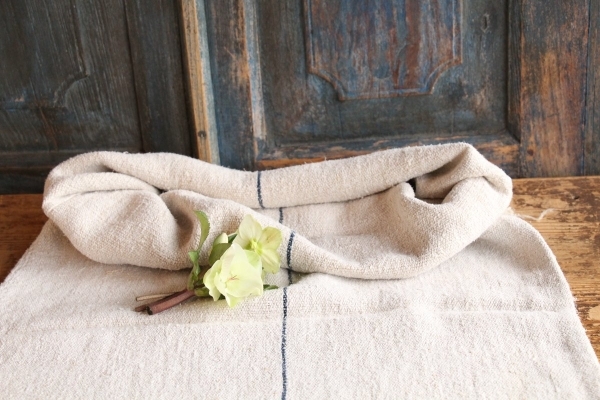 !Its really lovely, the stripes are highly decorative!!! Our antique linens are easily washable, you can wash it even with 60 degrees and it will not shrink, we ever add some softener, so ironing is much easier.